I am a settings fiddler. 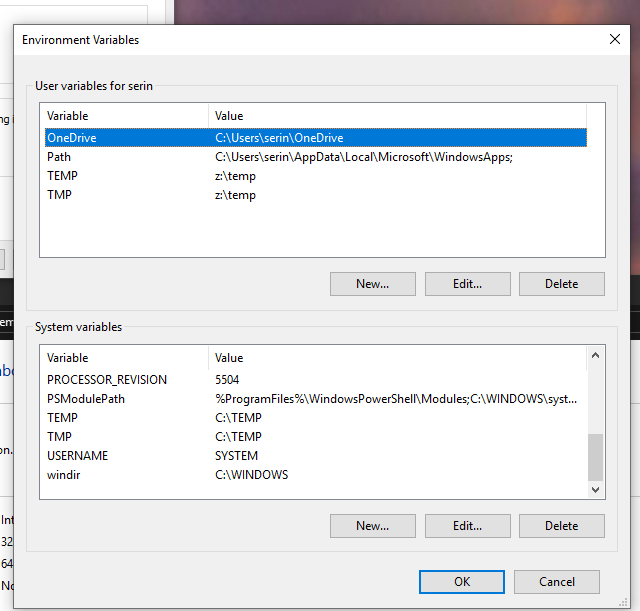 I’m constantly optimizing, but there are a few things I do every time I face a new windows install. I figured I’d include some here to keep track of them and maybe help someone out in the process who might not know about some of these. 1.) Data drive – Always keep a separate data drive. This used to be a partition of the main drive, one for the operating system, and one for the data. This helps because Windows doesn’t always live forever, at least it didn’t used to but the latest UEFI booting and Win 10 makes this point moot. I find comfort in knowing my data is separate from my OS. This is especially useful in the case of an SSD since they’ve been limited in space and lifespan. The more times you read/write to an SSD drive the closer it is to death. If data is written to another drive, that’s less reads and writes against the SSD. I have had some which did not stand the heat, literally (Crucial Vertex 3 – I had 2 go kaput on me) but they’re just as reliable as mechanical drives now, if not more-so. b.) Create all your folders on the data drive: Documents, Pictures, Videos are the main ones and you can also add 3D Objects, Favorites, Searches as you see fit. b.) Right click on my Documents, chooses location… and move. 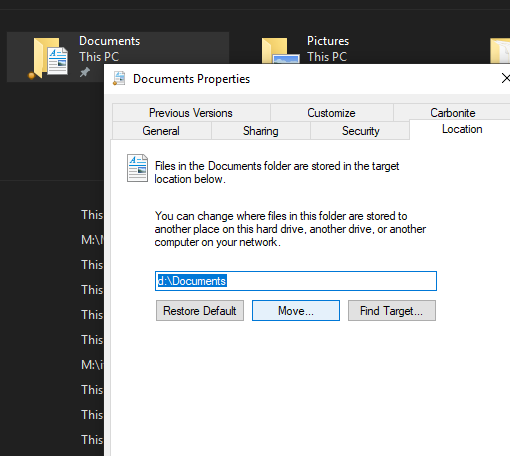 Give your data drive location (d:\Documents) and click ok.
c.) Rinse and repeat for each folder you want to relocate. Right click Computer: Documents folder, choose properties and location tab. b.) 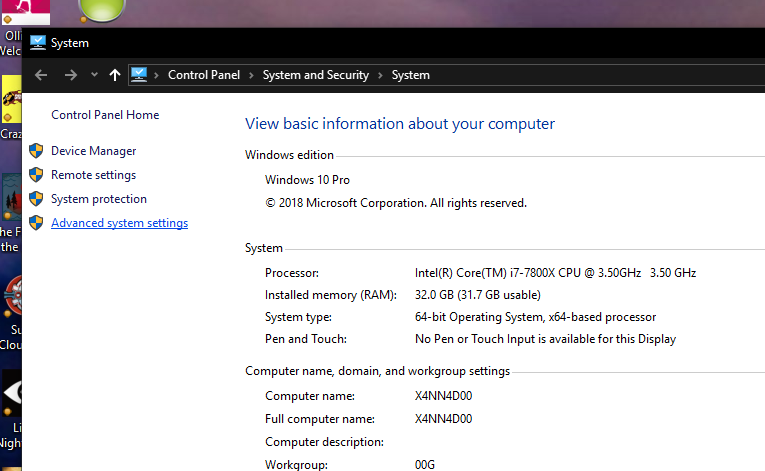 Right click on Computer/This PC and choose properties. f.) Do the same for the 2+ entries in the System variables section. Click each entry and change it to the same one. You’ve now got one location to go delete from if you’re feeling like doing a little digital spring cleaning! 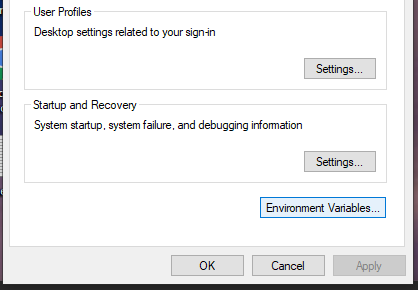 Windows should make a system checkpoint for you after these changes but you may want to make a checkpoint before and after to be sure they’ll stick. Or you can try and do NTFS hard links (or Junctions as they are also called). But they might not work over physical disks, but I have found them to be quite useful. Failing that, I love using synced cloud drives on the same drive, and then just junction them into the right places.